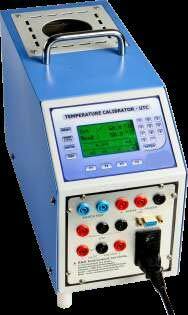 An emerging name in the market, our organization is involved in offering Dry Block Temperature Calibrator within the most lucrative deals. We are counted amidst the well-known names based in Mumbai(India) and cater to every nook and corner. Application : Ideal for calibration of thermocouples, RTDs, gauges, thermometers, switches, transmitters, etc. Power Cable : 1 no. Test Lead (2 wire) : 1 no. Test Lead (3 wire) : 1 no. Insertion Tool : 1 no. Spare fuses : 6A - 2 nos. User Manual : 1 no. 18 to 20 Min. 30 to 35 Min. 30 to 32 Min. 40 to 45 Min.